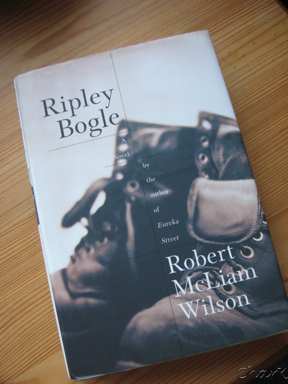 This entry was posted in Space & Society, Victoria and tagged Churches, Homeless, Poverty, Private Space, Public Space, Ripley Bogle, Robert McLiam Wilson by Charlene Kwiatkowski. Bookmark the permalink. I think this is a tough thing for churches and businesses to grapple with. If loitering’s not discouraged, there’s so many other things that could take place on those same steps..and then those with legitimate business are afraid to pass through and so the business suffers and owners put pressure on the police to crack down on loitering. I’d like to think churches could come up with more creative ways of dealing with this issue as they’re not going to suffer a business (financial) loss as as a retail store would. But the discussion needs to happen and you’ve started it off well. I find fence building in cities fascinating. City planners use fences as simple sheep runs with the intended goal of herding the sheep along a desired path. They seem to forget that people do not always respond in simplistic sheep-like ways. I have always found it fascinating to see how much effort people take to resist fences. In Edmonton the pedestrian traffic is much less common than it is here in Victoria despite having a much larger population. Edmonton is such a large city that walking only a few city blocks can take unusually long amounts of time on foot. Normal bipedal locomotion is interrupted by traffic lights at every corner that can take two to four between pedestrian walk signals. I frequently timed my trips to work. The first pedestrian crossing light determined the duration of navigating the next eight blocks. I wasn’t the only one who knew this about the traffic signals either. Occasionally I would see the light changing and would run to the intersection in order to get to it at the right time. I was not alone in doing this, as I would see other pedestrians take the same dash to the pedestrian light as me. In the winter I, like many other pedestrians, didn’t walk on the sidewalk. The sidewalks through the green areas were constructed in a way that pressured a pedestrian to take a scenic stroll instead of an efficient path. By the paths in the snow that I followed, I could see that many people would take the same shortcuts as I would. Every shortcut was the shortest distance between two points. In the winter the paths would be a highway made from packed ice and snow. In the summer the paths would be worn down to dirt trails. The city decided to put a fence across one shortcut area because so many pedestrians were walking through an area that was landscaped. This did not discourage people from using the shortcut through the green area. Some person moved some of the huge landscaping rocks onto the path directly beside the fence so that it was easy to walk up the rock and hop onto the fence and then hop down onto the landscaping rocks on the other side. When it rained there were muddy footprints on the top of the fence. In the morning the top of the fence was usually wet from the morning dew that had been tracked onto it from people’s shoes who had gone over. The city responded by removing the landscaping rocks so that people had to climb over. After a week of climbing over the fence, I discovered one morning that someone had used a handsaw to cut a gateway in the fence. A week later the city responded by repairing the wooden fence. Then one morning on my way by, the fence area was marked off by crime scene tape. Upon looking into the crime scene I could see the fence had been set on fire and they must have been investigating a case of arson. After repairs were made, someone found a large enough socket and removed the top crossbar of the fence. This allowed pedestrians to step over the fence. People were determined to get over the fence and nothing stopped the pedestrians from reclaiming the space. A month or two back, I was having a conversation with a security guard who is responsible for the parking lot on the corner of Pandora and Quadra. They installed a length of fence in where the homeless people would congregate on the corner. The fence is the weakest fence to the touch. I’m sure I could break it using my body weight. It doesn’t even go around an area, it simply stops access from one direction and it is very easy to go around the fence. It is easy to squeeze yourself around from the side that is facing the street. The space on the other side is just as comfortable as it was before the fence was built. I asked him why they built a pathetic little length of fence there. His answer was that since blocking off access from the one side no homeless people went into the secluded area. The homeless population had gone from existing in that spot many hours of the day to not ever stopping there. How could this be that it would be so easy to keep the people out of this area? So I asked the guard why he thought it was so effective and he told me something astonishingly enlightening. It is easy to put human faces on the homeless during the day or when they are lucid enough to talk with. I have homeless friends that I have known since long before they were homeless. During the times when people are on drugs it is those drugs in their bodies are what is dehumanizing them. They become unpredictable, desperate, wild and often dangerous. When I have seen my friends stoned, they are nothing more than shadows of themselves.They return to their normal human state for short windows of time as the drugs wear off. Then they desperately scrounge to get more drugs. Nooks and crannies in the walls of the city can become tactical hunting spots for people who are desperate. The complex social issues surrounding addictions can’t be solved by letting people openly lurk on the steps of a building. If a person is on enough meth to suppress memories of their brother molesting them, their mother’s perpetual emotional abuse, their failing health, their hunger, and their fatigue then how can we expect them to respond to the symbolism behind a fence? Thanks everyone for your comments, and Curtis – thanks for sharing this other perspective. You’re right, it is a complicated issue. 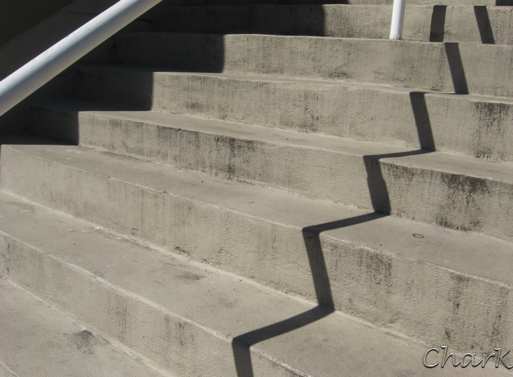 I am aware that not all homeless people respect public/private spaces like outdoor steps and use them instead for shooting up or defecating. What struck me is that when they are using them appropriately such as for sitting, they are still told to leave, and what upset many of the homeless I talked to is the assumption by police that they are engaged in illegal activities simply by being on the steps. That being said, a different police officer told us afterwards that the police enforce the “no loitering” policy regardless of who or what is happening on the steps because they don’t want to be seen as picking and choosing who gets to use the space. What’s interesting about your examples on fences is that they can go either way. In some cases, they’re non-effective and won’t stop people from using a space, and in other cases, they immediately detract people – or perhaps this depends on what (a shortcut or a place to lurk) or who (pedestrian traffic or the homeless) the fence is fencing off. I’m glad that you had the chance to be a part of this — very eye-opening indeed. I agree that churches need to find a better solution than erecting a fence to discourage loitering – does your church have an emergency shelter program once a week or something in the cold winter months for people who don’t have a roof over their heads? Sometimes I wonder if the church has a positive presence in the community with the homeless population, that maybe out of respect they might do those less favourable loitering activities more infrequently. Maybe this is just wishful thinking? But maybe not . . .
Just wondering – do you know if Victoria have a “safe”-injection site like Vancouver? I would think that that would take some of the loitering away. Will have to talk with you further about this! Hey! Super interesting post! Keep up the good work. Just wanted to say that there’s another book on a similar topic to the one you mention here (Ripley Bogle) by a Scandinavian writer, Knut Hamsun, in the 19th century called _Hunger_. It’s about a struggling writer who’s trying to make a living as an artist while still feeding himself. A bit anachronistic, but I just thought I’d mention it! Have fun rocking the blogosphere.